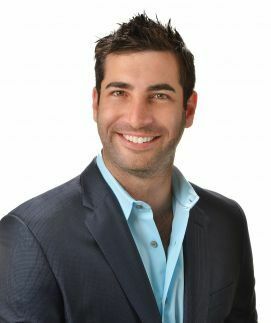 Having acquired his first investment property at the age of 21 and being recognized as the Who’s Who in Luxury Real Estate’s “Rookie of the Year” in the second year of his career, Stephen Udoff was determined to be a force to reckon with on the Los Angeles real estate scene. Today, Stephen—known as Sunset Steve on social media—has proved himself right, as beyond being a top producing associate he’s also achieved social media stardom for his In-App Marketing tactics and has grown a following of high-end clientele from his secret niche neighborhood market reports covering the real estate scene along the California coast — Malibu to Venice. A millennial minded agent, Stephen brings 7 years of experience to Pacific Union and was attracted to the company’s family over bottom-line feel and in-house dynamics. Much of the qualities that he associates with and aspires to maintain on a daily basis—honesty, intelligence, genuineness—are emulated within the agency itself. One of the qualities that elevates Stephen from the pack is his ability to leverage digital technology to market his real estate properties and personal brand. By using Snapchat as a platform to engage with the community and potential buyers, Stephen was able to convert a lead generated solely through the social app, renting out a $80,000/month property in Malibu sight unseen. His success is a testament to his entrepreneurial spirit and willingness to explore all angles of selling real estate. Stephen’s understanding of new media far surpasses his notoriety for using Snapchat, leading him to find new ways to market homes and grow his business, such as through his niche neighborhood reports. In his spare time, Stephen serves as President-Elect of the Malibu Association of Realtors. Additionally, he’s a Director for the California Association of Realtors representing the Beverly Hills and Malibu region of Southwest Los Angeles. Having grown up in Calabasas and attended college in San Diego, Stephen’s principal item on his L.A. bucket list is to go surfing and snowboarding on the same day.